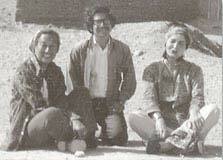 Clara was international reporter at the Tempo when we met in the of Fall of 1971, during the sumptuous Iranian Feasts. We decided, then, to explore together with a guide the rest of the country. Joyous, irrepressibly curious, Clara was an exquisite companion and investigation master, and , in the background, that collapsing reign, still at the peak of its splendour but already exhausted by thirst (in the South) and poverty. On the way back, I stopped in at her house, in the middle in the former ghetto of Rome, and stayed there almost a week. From time to time, we talked on the phone. I still admire and cherish her, she was a Lady. To be specific, I have to confess that it was not Minister Edgar Faure whom I met, during the « events of 1968 », but, in the same office, as a perfect copy with lisp and pipe, thrillers author Edgar Sanday (his penname  which you could translate from its French as “With-no-dee” - derives from an allusion to that other minister, Edgard Pisani, whose first name, unusally, has a “D” added). This Minister of Education, who was at the origin of most of the disastrous reforms, was jovial, even possibly a bit of a sycophant, lisping indeed, like a child sucking candy; but all that appeared to me as a mask: he was always ready to flee, to hedge, to be where you would never think he could, but not where you would expect him to be… A deleterious smell was floating in the room, as if the tobacco, of a sweet Dutch mixture, curdled as soon as it was spit. In his novels, suspense was gauche and plain for all to see. In his life, was no suspense left. When I worked for VSD, Elisabeth reigned over the entertainment pages, took her lunch with Alain Delon or Richard Burton, and dined with Brigitte Bardot. As a starry-eyed girl, I was very impressed. Her features, her slightly husky way of talking, her reserve and surges of affection reminded me of something from my childhood. And one day, she asked me suddenly: « Lycée Molière, seventh grade, do you remember? ». We discovered, then, on class photos that, two years successively, we were sitting shoulder to shoulder, very friendly. About ten years after the VSD experience, we met at the Paris Book Fair, at the booth of our common publisher, Calmann-Lévy. 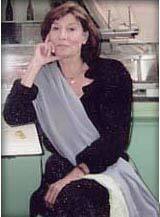 She became a best-seller on her memories of Algeria (Le Pays d’où je viens « The Country that I Come From»). This Hungarian historian (born in 1909 and a friend of Albert Camus) wrote a crucial book on the programmed disintegration of the Austro-Hungarian Empire, Requiem pour un Empire défunt (« Requiem for a Defunct Empire ») ; this Resistance fighter against Communism (as early as 1947) author of the Histoire des Démocraties Populaires (« History of the Popular Democracies »), who met Tito, Castro, Willy Brandt and many of the heads of state who inhabited the Kremlin, was my neighbour at the time that I had a flat in Neuilly. We often went for the dinner to a restaurant nearby and discussed my book on Les Filles de Madame Claude (« The Pink Squad of Madame Claude ») much more than my other book Droit dasiles en Union Soviétique (“The Right of Asylum(s) in the Soviet Union”). . I knew Robert Fiess, journalist at the Express, in Boston, Massachussetts, when he lived there with his wife Inge, having obtained a grant from the Nieman Foundation. My guardian angel in Boston, Gilberte Furstenberg, had taken me with her to a dinner in their flat. I saw Robert again, back in Paris, when he worked for the German group Prisma and founded the magazine Geo. I always regret turning down his proposition for me to become assistant editor-in-chief, training to succeed him one day, so that he could dedicate himself to Prisma’s school of journalism. We are still very close friends, but … I could have kicked myself! Some people really are like characters in a novel. Paolo was one of them. I met him in the circle of Franco Colombo, who was a correspondent in Paris for the Italian RAI TV. I was given a royal welcome in London, in his magnificent mansion near Saint James, in the deleterious hints of Wildian atmosphere, with a pinch of Visconti touch. Journalist at the Financial Times, David was a long time my correspondent and cicerone in London, once we had collaborated on the book Biotechnology : Strategies for Life. We have tasted the best meals in delicious Greek restaurants or at the very posh White Tower, we have drunk an impressive quantity of port in huge glasses and Alexander cocktails of cream and brandy. We almost did a coffee table book together on The Foot, but I never found a sponsor. The dummy was shelved, but is always there… if ever somebody might be interested. David lives today in the English country, in the Bucks (Buckinghamshire), land of the Rothschild castles. German academic, who came from East Germany and knew all about Communism (and more), Inge was working at Givat Ram University when I went back, for new reports, to Israel at the end of the 1960s and early 1970s. Thanks to her, I went to surrealistic concerts given in smart villas by Russian violinists, playing Vivaldi and having just escaped the Gulag. We drank many glasses in fashionable cafés like Galleria Haktana, where I knew dear Pierre Motyl,and was invited for tea by Arab families. Inge was fiery, generous, indomitable. I don’t know where she is now, but that kind of aristocratic nature can never die.